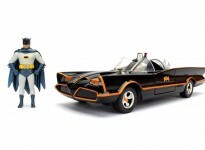 Yet another wannabe replica of the most iconic and distinctive film cars of all time, the 1960s era Batmobile, is going up for sale at the inaugural Historics at Brooklands auction in Surrey on June 2. This particular example is based on a 1973 Lincoln Continental chassis and was completed in 1988, following input from well-known custom coachbuilder, kamagra Bill Chaplin. 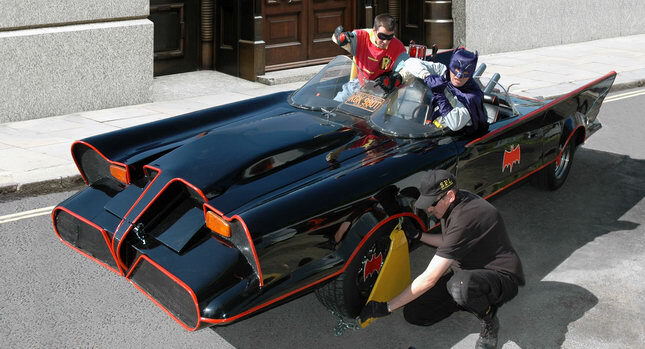 But even though the 1966 Batmobile replica incorporates all the styling cues and Batman paraphernalia including an in-dashboard television, rear parachute pod, boot mounted exhaust pipes and Batphone, it’s obvious that the car isn’t a faithful replica of the original George Barris car that stared in the 1960s Batman and Robin TV series. When you say “under the hammer”, I hope its “HAMMER TIME” to it. It will be really interesting to see if it sells at all, and if so, for how much. It’s actually a great comfort to know we have the entire Atlantic Ocean between it and us.